Among various features coming over the next few months, CCP devs will be shifting focus on a recently very hot topic - game balance. The first step will be making two new development teams dedicated exclusively to ships and modules. 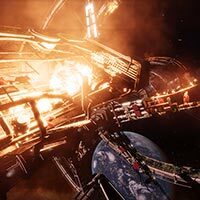 By doing this, CCP hopes to leverage balancing work to a more focused number of developers that will be strictly working on a given task, rather than having multiple teams working on multiple various parts of the game. You can check the detailed plan in the video below. For an in depth look at how the new Rupture was put together, check out the previous post. Once again, the time has come for alliances across the cluster to lock horns in the largest and most destructive four weekends of the year, as the Alliance Tournament returns in its fifteenth incarnation. The Independent Gaming Commission is offering substantial Serpentis themed prize vessels and SKINs to the victors this year, as the most anticipated Alliance Brawl of the calendar returns.